SAN DIEGO — Boaters who are considering making the switch from copper hull paints to more environmentally friendly coatings will want to mark their calendar for the Port of San Diego’s Eco-Friendly Hull Paint Expo, Oct. 18. Boat owners who are interested in learning more about environmentally safe hull paints can get information of the various types available and what it takes to apply them, at the upcoming Expo, scheduled from 10 a.m.-noon at Nielsen Beaumont Marine, 2420 Shelter Island Drive. This is the port’s fourth Eco-Friendly Hull Paint Expo. The event is intended to provide recreational boaters with information on paints that protect a boat’s hull while also reducing environmental impact. 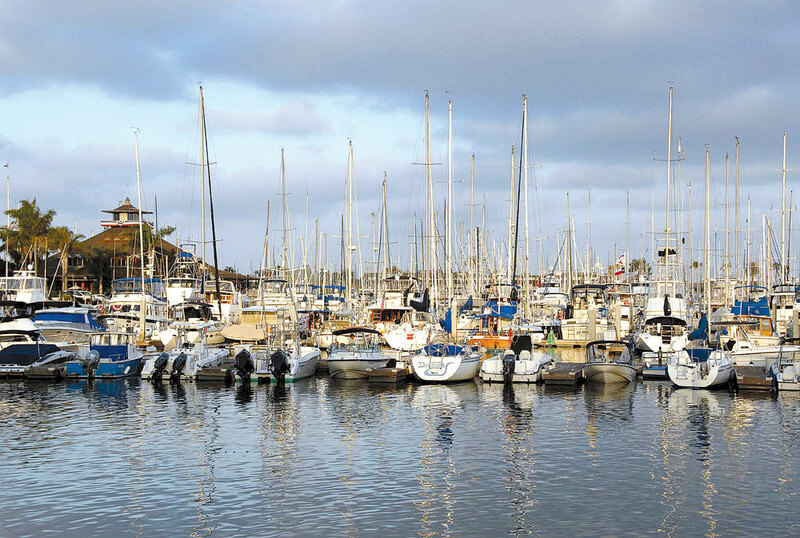 In 2008, port officials launched a two-year antifouling paint study after the area was cited in 1996 by the San Diego Regional Water Quality Control Board for high levels of copper in Shelter Island Yacht Basin. The board’s regulatory order requires the port, marinas, yacht clubs, hull cleaners and boaters to reduce copper pollution in the Shelter Island Yacht Basin by up to 76 percent by 2022. The port has identified a variety of copper-free hull paints that it has found to protect the environment without reducing boat performance. The port has also engaged in educational and informational outreach to inform boat owners and commercial operators of the benefits of making the switch to environmentally friendly hull coatings. Expo attendees can talk to port representatives, paint manufacturers and boatyard personnel — and they can hear first-hand from fellow boaters about of the advantages of using non-copper hull paint. Port of San Diego staff members will be on site to discuss how boaters can qualify for a grant program that assists Shelter Island Yacht Basin boaters in converting to eco-friendly hull paints. The program, which began in 2011, will expire in May 2015. Two boats that have been operating with eco-friendly hull paint will be hauled out of the water and on display. There also will be a hull cleaning seminar where boat owners and hull cleaners can share tips and best practices on the use, cleaning, and maintenance of eco-friendly hull paints, according to the port. Port representatives will be on site demonstrating how to use an online calculator to help estimate costs to convert boats to eco-friendly hull paints. For more information about the event, visit sandiegobaycopperreduction.org.